Pantone is THE authority on colour. 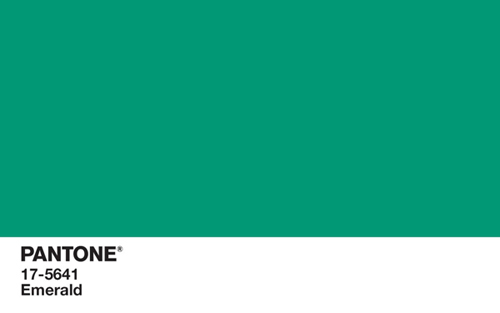 The Pantone System is the standardised colour mixing system across the globe whether it be for print, interiors or fashion. Each year Pantone choose a colour they feel will be big for that year. For 2013 they have chosen Emerald Green. Lively. Radiant. Lush… Emerald is a colour of elegance and beauty that enhances our sense of well-being, balance and harmony. It is the perfect colour for many different styles of decorating, from classic country manor to bold decorative mod style, Emerald is relevant to these and everything in between! For a classic style, combine classic furniture, perhaps like this stunning emerald sofa, with rich colours such as other gem tones such as ruby, sapphire, topaz and onyx and a splash or bronze, copper or platinum. Mix it up with an unexpected contemporary art piece like wallstudio's Line Dye canvas in Teal. 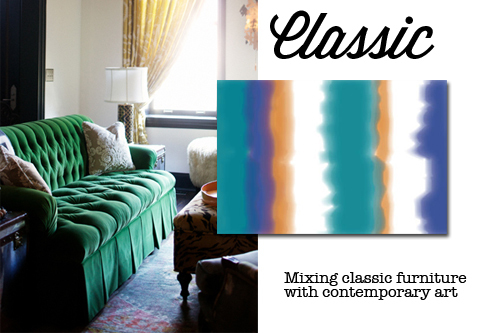 While not specifically emerald green, this canvass will tie in beautifully with the rich blue/green hues. Think a little bit Hollywood, a little bit Manhattan chic Mad Men style for this sophisticated look. 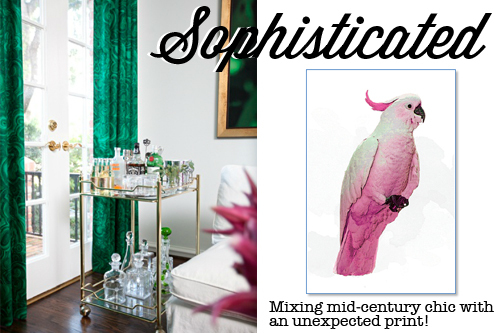 Lots of white and glass and metal tones with splashes of emerald and pops of pink. Pink and green are great friends after all! Our Pink Cockatoo canvas is the perfect addition to this scheme with it's minimal styling and unexpected mid-century, almost pop style design. 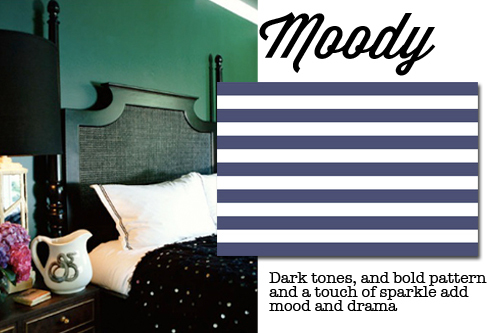 A rich, moody space can be created by using emerald en masse and pairing it with black and navy and a little white to break up the dark tones. Add in bold pattern like the Candy Stripes canvas in Navy and a little sparkle and you have a room that will feel cosy, enveloping and daring all at once!